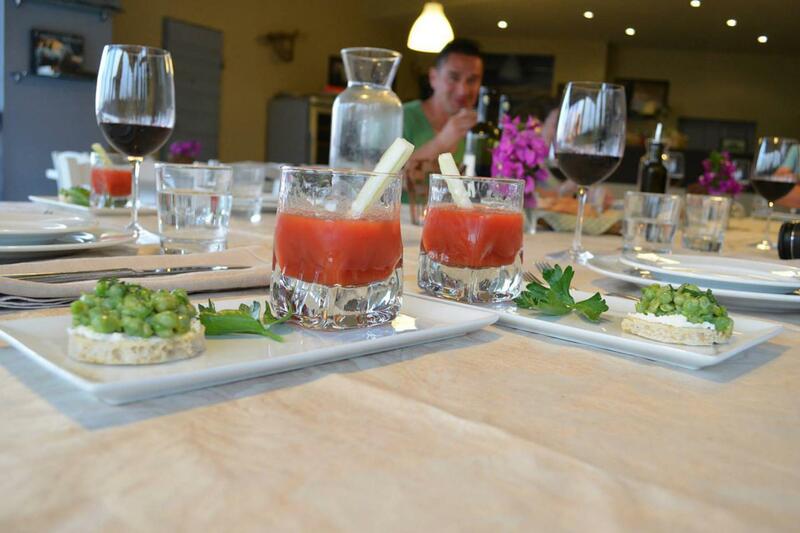 Child Friendly, welcoming and Tuscan cuisine! The agriturismo is quietly nestled among olive and fruit trees and fields with sheep and horses. You will be very warmly welcomed. Three years ago, the owners bought this farm and transformed it into a beautiful agriturismo with apartments and rooms and a child friendly eco-pool. There is also a small playground. In the trattoria the owner himself does the cooking and once a week they bake pizza for the guests. On request wine tastings and cooking courses are organized. And for lovers of hiking, they organize walks, ranging from one hour to a whole day. The agriturismo is strategically located to visit well known cities such as Pisa, San Gimignano and Volterra. These are all about an hour away from the agriturismo. A day at the beach is also possible. In less than an hour you can be at the beach. 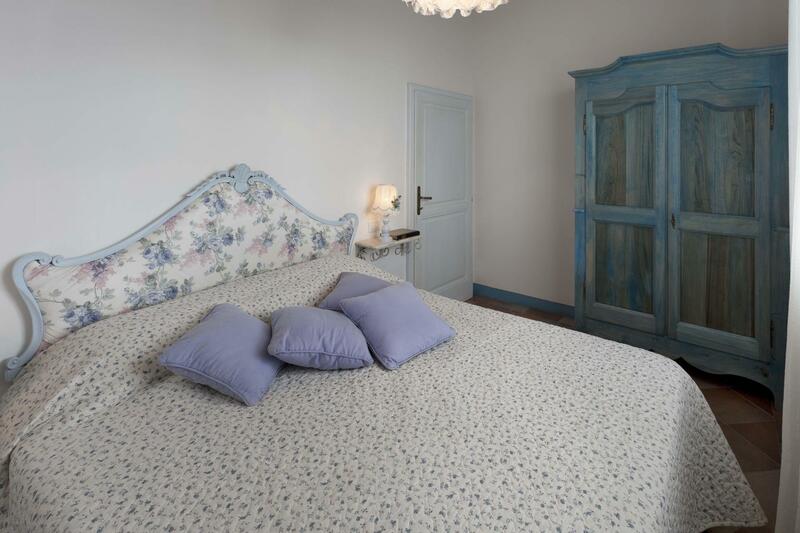 The agriturismo produces olive oil and the original farmhouse is situated in the middle of an olive grove. In the nearby village (about 4 km) a small shop and a bakery could be found. 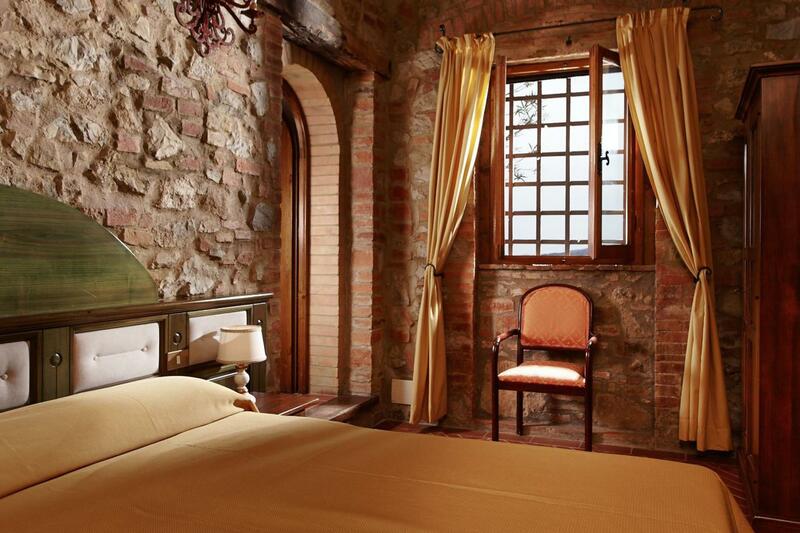 The agriturismo has two double rooms and five apartments. There are two one bedroom apartments, two apartments with two bedrooms and a large apartment with three bedrooms on the first floor with terrace. The apartments have private outdoor areas and are equipped with dishwasher, oven, satellite TV and Wifi. The two double rooms come with breakfast included. A welcoming and child friendly agriturismo where you can relax and enjoy the local cuisine! The apartment on the ground floor has a living room with open kitchen, a bedroom and a bathroom. On request, 2 small single beds ( for children) can be added. The kitchen is equipped with dishwasher and the apartment has a private terrace with table and chairs. The apartment on the ground floor has a living room with open kitchen and sofa bed, a bedroom and a bathroom. The apartment on the first floor has a living room with open kitchen, 2 bedrooms and 2 bathrooms (one with bath). On request, in each bedroom an extra bed can be added. The kitchen is equipped with dishwasher and the apartment has a large balcony with table and chairs. The apartment on the ground floor has a living room with open kitchen, 2 bedrooms and 2 bathrooms. The apartment on the first floor has a living room with open kitchen, 3 bedrooms and 3 bathrooms (one with bath). The apartment on the first floor has a living room with fireplace and open kitchen, 3 bedrooms and a bathroom with shower. The kitchen is equipped with dishwasher and the apartment has a balcony with table and chairs. The apartment on the ground floor has a living room with open kitchen, 2 bedrooms and 1 bathroom. Double room on the first floor with bathroom with shower. Double room on the first floor bathroom with shower. Prices are per week/day and include use of water, gas, electricity and towels, kitchen towels and bed linen (changed once a week) wifi and final cleaning.